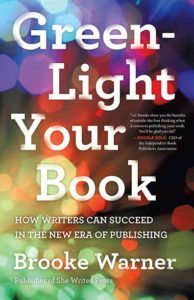 This month I’m a new author all over again with the publication of Green-Light Your Book: How Writers Can Succeed in the New Era of Publishing. I wrote this book to answer the many good questions authors lob my way every day. One of the most consistent pieces of feedback I’m getting is that the book brings an entrepreneurial spirit to publishing, which is wonderful, because that’s certainly part of what I intended to achieve. One of my main objectives with the authors I work with is to educate them about how publishing works so that they’re better equipped to successfully navigate its often-murky waters. It behooves every author—new or veteran—to think like an entrepreneur, whether they’re self-published, hybrid published, or traditionally published. Regardless of your publishing path, you must look out for Number One, because often no one else will. And if you’ve entered publishing for the love of the art and craft of writing, you need to make room in your heart and mind for the business side of things so that you don’t end up wondering what went wrong after it’s too late. Here are five tips to help you embrace becoming an entrepreneurial author. This doesn’t mean you have to shut out your artist, by the way. It just means you have to ask it to move over a little to make room for your CEO too. Entrepreneurial tip #1. Treat your book like a product, not a baby. This can be a hard mindset shift because you’ve been slaving away at this thing that you love (and sometimes hate) and then all of a sudden it’s out in the world and you long for people to love it and praise it. But you must learn to talk about your book for its value/takeaway and not for its inherent worthiness, because all books are worthy in the eyes of the author. Think about why people want to read your book. What will they get out of it? How will it help others? As an entrepreneurial author, you need to consider how to position your work because this is what the industry is looking for and what industry people care about. Learning what the industry values opens doors. Entrepreneurial tip #2. Become a “content monster,” which means produce as much content as you can in the months leading up to and after your book release. This takes a bit of a mindset shift, too, because instead of being done once your manuscript is complete, you’re only just beginning. You need to be thinking nonstop about pitching ideas, articles, columns, guest posts, and more to a broad range of outlets. Entrepreneurial authors get themselves out there. They make themselves visible. Marketing people say that you have to “touch” consumers seven times before they buy what you’re selling. That’s probably higher these days with the constant influx of information and emails coming our way every day. So write, write, write. This includes your own social media and blog posts. And don’t settle for outsourcing this kind of work completely. You can do a little bit of that, but to retain your authentic voice and to grow a real platform, you have to be engaged with both the writing and the engagement that being a content monster requires. Entrepreneurial tip #3. Learn about the business side of publishing. In my book I talk about the importance of “walking the talk.” You are going to have a lot more success with industry folk if you understand book publishing, even if just on a basic level. 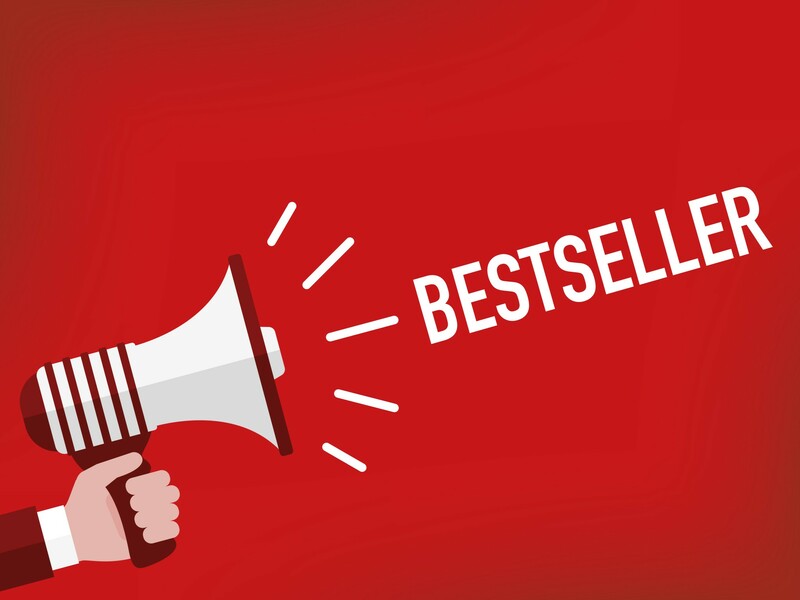 If you know how to talk to bookstore people and librarians; if you know how to pitch your book succinctly; if you have talking points—you’re going to be more successful. Too many authors fail to grasp the importance of a short pitch. They get tripped up thinking that other people are going to fall in love with their book and they overkill. They overtalk and oversell. Book people are dealing with a deluge of books, and no matter how wonderful yours might be, they want only the bare minimum about the plot. What matters more is why your book is relevant, how it will help people, and what its primary messages are. Get clear on your language and know the value of a to-the-point and well-done pitch. Entrepreneurial tip #4. Own your expertise! This is easy for writers of self-help, but writers of memoir or fiction are experts in the issues at the center of their books too. Tom Clancy has been a go-to expert the media has called on during the Iraq war and post-9/11. The man is a novelist, but do you think he’s rejecting media calls and telling NBC news, “I’m only a novelist.” No! He’s owning it, and you too need to cultivate your expertise and realize what a huge wealth of knowledge you have in your subject matter from the act of researching and writing a book. This can be a game-changer for authors when they truly grasp its importance. Be a conversation-starter, an engager, and a go-to person in your areas of interest. Entrepreneurial tip #5. Self-promote in an authentic way. When you’re giving, people are more receptive to self-promotion. It’s easy to reach out to people with an offer if there’s something in that offer that’s valuable and meaningful. Authors I speak to are often loathe to start a newsletter, sickened by the very idea of self-promotion. This is because they have a distorted view of what self-promotion looks like based on people who do it in an icky and self-serving way. Take note—that’s not the only way to do it. Find your own way. Emulate people you admire who are self-promoting well. Have content and products and information that you offer to people as a way to incentivize them to follow you. Create a bribe to subscribe on your website so that when you ask people to sign up to receive updates from you, you’re giving them something in exchange for the privilege of their trusting you with their email address. People who sell well do so because they believe in themselves, and they believe in their product. To be a successful author, you may need to grow into this level of self-validation. It may take a while to feel you’ve arrived. Hang in there till you do. Fake it till you make it. You’ll arrive in due time. What are some of your entrepreneurial tips? What’s worked for you? I’d love to hear about it! Next PostAre You Writing a Hybrid Book? This five tips are the best distillation I’ve seen. Most important they dress the notion of persistence over a sustained period of time. Thanks, Brooke. This is really great. I will put your tips to good use.